Manchester based trumpeter, composer, arranger and producer Matthew Halsall has carved out a unique niche for himself as both a band-leader and producer delving deeply into the worlds of spiritual jazz and string-laden soul. His latest project finds him playing with and producing the legendary LA jazz singer Dwight Trible, who first came to international renown with his 2005 Ninja Tune release Love Is the Answer. Trible, whose deeply soulful voice has seen him compared to Leon Thomas and Andy Bey, has worked with the likes of Pharoah Sanders, Horace Tapscott and Kamasi Washiongton (he sings lead vocals on the Epic) and brings a deep-rooted soulfulness to everything that he sings. Halsall and Trible first met at the Joy of Jazz Festival in South Africa back in 2015, when a chance encounter backstage led to Trible sitting in with The Gondwana Orchestra for an impromptu reading of the classic Pharoah Sanders and Leon Thomas anthem ‘The Creator Has A Master Plan’, and a lasting friendship and respect for each others music was born. The relationship started to bear fruit in July 16, Trible was performing at the North Sea Jazz Festival and Halsall invited him to guest with him at a memorable show at the, newly re-opened, Jazz Café in London. A recording session at 80 Hertz studios in Manchester followed, providing two tracks that feature here: The timeless standard I Love Paris, and the traditional spiritual Deep River, featuring Halsall regulars pianist Taz Modi, bassist Gavin Barras and drummer Luke Flowers. 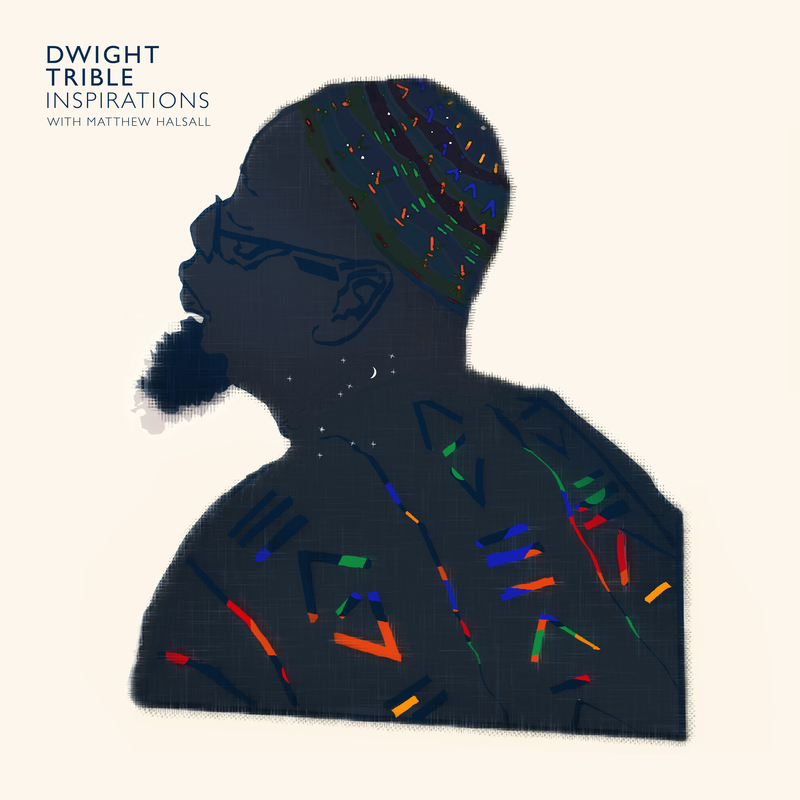 Inspired by what he heard Halsall offered to produce a Dwight Trible album for his Gondwana Records imprint. Together they selected some of their favourite songs and in November last year they went into Fish Factory Studios, London with new recruit Jon Scott taking the drum chair. They recorded an impassioned reading of Donny Hathaway and Leroy Hutson’s classic Tryin’ Times (a song as sadly relevant today as it was in 1970), a vibrant, soulful version of the Nina Simone smash Feeling Good and a beautiful take on the timeless Bacharach classic What The World Needs Now Is Love featuring harpist Rachael Gladwin. They also laid down two spiritual jazz masterpieces, a powerful re-working of Dorothy Ashby’s Heaven and Hell (from the legendary The Rubiyat of Dorothy Ashby album) and a heartfelt version of Coltrane’s beautiful ballad Dear Lord, with lyrics by Trible. Lyrics that have an extra poignancy after they received praise from none other than Alice Coltrane, who heard Trible perform his version of the song shortly before her passing. Rounding out the recording is a spine-tingling reading of the old folk song Black Is The Colour Of My True Love’s Hair. Simply entitled, Inspirations, the album carries a clear message and the settings are classic Halsall, drawing on the vintage sounds and recording techniques of jazz’s golden era but with a modern touch and he brings the very best out of Trible, leaving plenty of space for his deep soulfulness to flourish. Inspirations is launched with a European tour featuring special guest Roger ‘Chip’ Wickham on saxophones and flute.